October 2nd marked the six year anniversary of DKAN on drupal.org. This month marks the six year anniversary of DKAN on drupal.org, and I’m happy to report that the project and community are stronger than ever. 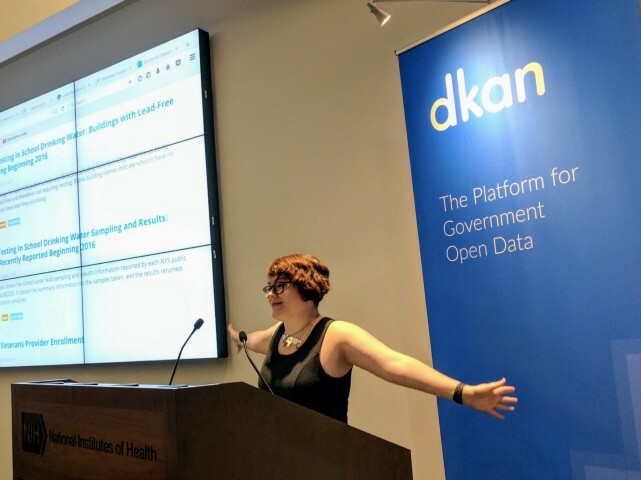 We’ve begun work on a Drupal 8 version of DKAN, and we can’t wait to tell you all about it at the DKAN Open Data Summit this Wednesday at Drupal GovCon. We’d also love to get you involved! Dan Morgan joins the DKAN Open Data Summit! Hudson Hollister joins the DKAN Summit! We’re really excited about the upcoming DKAN Summit, and we’ve lined up some great speakers about not only DKAN, but about Open Data and government as well. We’re so excited to announce the DKAN Open Data Summit at this year’s Drupal GovCon! The 1.15 DKAN Release is Here! The DKAN team is constantly working on the platform to add and improve features, make the site more efficient or easier to use, and fix bugs we find along the way.